XENIA — Dr. Stella Ling has returned home to Greene County to help patients faced with cancer at Greene Memorial Hospital’s Ruth McMillan Cancer Center. Her mother was a pediatrician in Beavercreek for more than 40 years and, along with her father who was also a physician, inspired Dr. Ling to get into medicine. 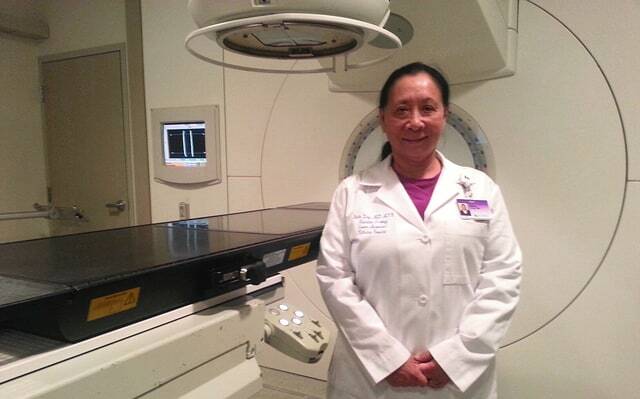 Dr. Ling began her career in pediatric medicine, but decided to to go back to medical school to study oncology. It was all about making a greater difference. “When I decided to switch from pediatrics to oncology I wanted to do a full residency in oncology in order to be educated on the latest advancements in cancer treatment,” she said. After raising two children in California, Dr. Ling and her husband, also a physician, decided to move back to Ohio to be closer to her ailing mother. Before coming to Greene she worked with other cancer centers and also educated future physicians at The Ohio State University. In her early career as an oncologist, she treated patients suffering from breast cancer and specialized in GammaKnife surgery. Other areas of her focus include lung cancer and head and neck cancers. Being part of a larger network like Kettering Health Network is something Dr. Ling believes continues to benefit her patients. Dr. Ling sees herself as an advocate for patients faced with cancer and is proud to provide them the latest advancements in care at Greene. For more information about the Ruth McMillan Cancer Center and its oncologists contact 855-500-2873.